What Marvel paperbacks should I read to fully appreciate Toad's Brotherhood of Mutants? 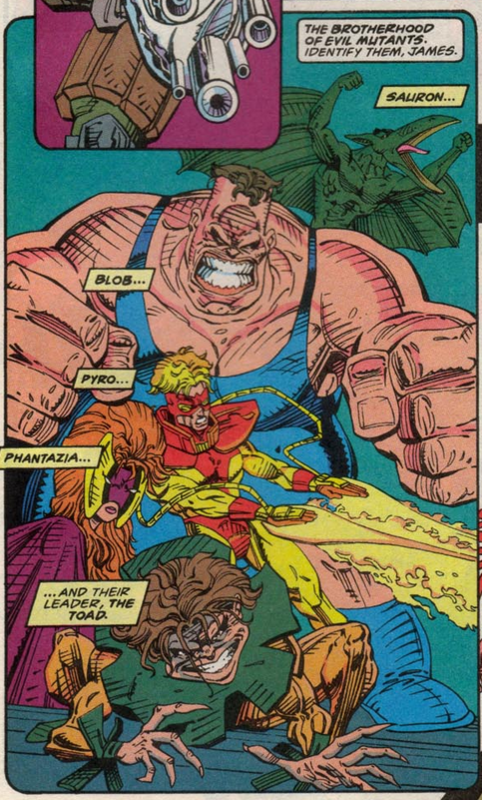 As far as I know, Toad's Brotherhood of Mutants was first introduced in X-Force and included the characters of Blob, Phantazia, Pyro, and Sauron. I was therefore wondering which paperbacks I should read to explore this version of the Brotherhood, as Toad is personally one of my more favorite Marvel villains. 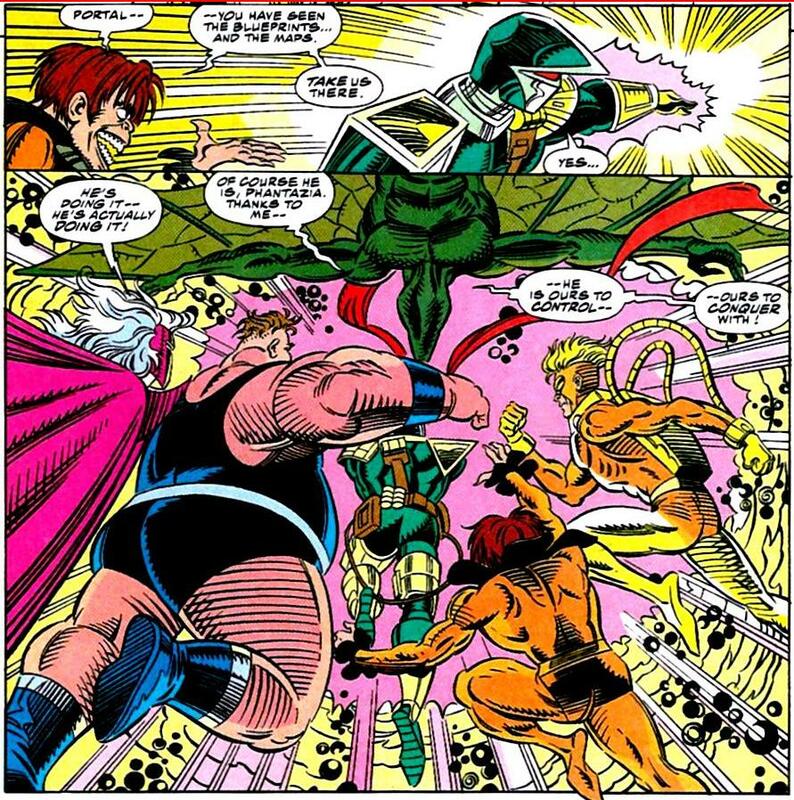 Toad's Brotherhood of Evil Mutants was indeed short-lived (less than 10 appearances between 1991 and 1993). The issues featuring it are listed below. For the sake of readability, all panels are linked to but not included, as it would distort the formatting. 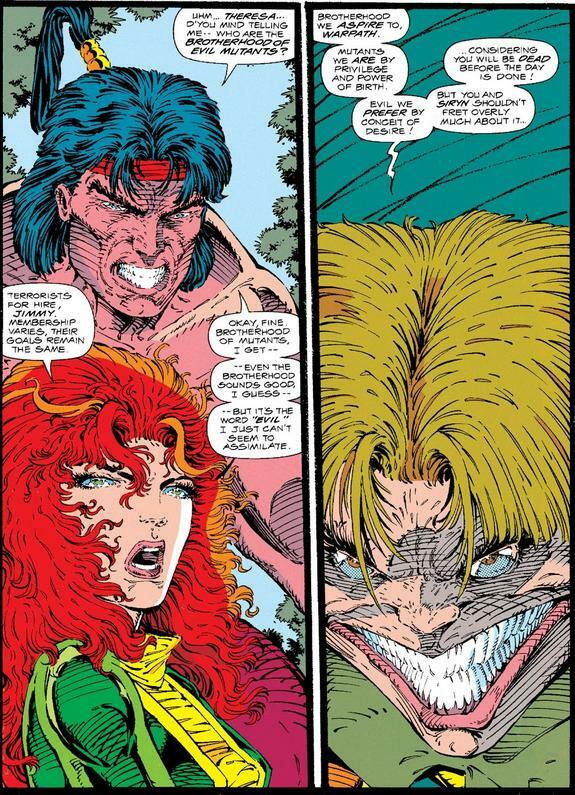 This Brotherhood was created in X-Force #5 (1991). 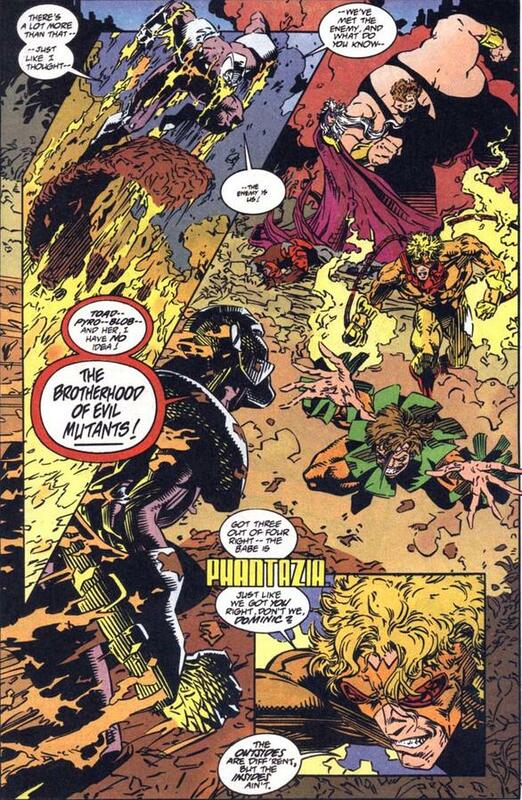 Toad, already in league with the Blob, manages to bring Sauron out of Karl Lykos, in order to "fullfill his dreams" of a new Brotherhood of Evil Mutants. By issue #6 (1992), Phantazia and Pyro have already joined (we don't get to know how). They're battling X-Force in issue #7, Sauron is on his own in issue #8, he's rejoined by Blob and Phantazia in issue #9. They're defeated and none to be seen again in X-Force. Well, technically they do appear on a monitor in X-Force Annual #1, but that's not really relevant. Collected in the paperback print of the "Under the gun" arc (Amazon link). They serve as "villain of the week" in X-Factor #82 (1992). They try to enroll people, are stopped by X-Factor fairly easily, and that's a day. It's really a one-issue thing, and is printed as such, although I'd imagine the issue is also collected with other X-Factor issues not featuring Toad's Brotherhood. 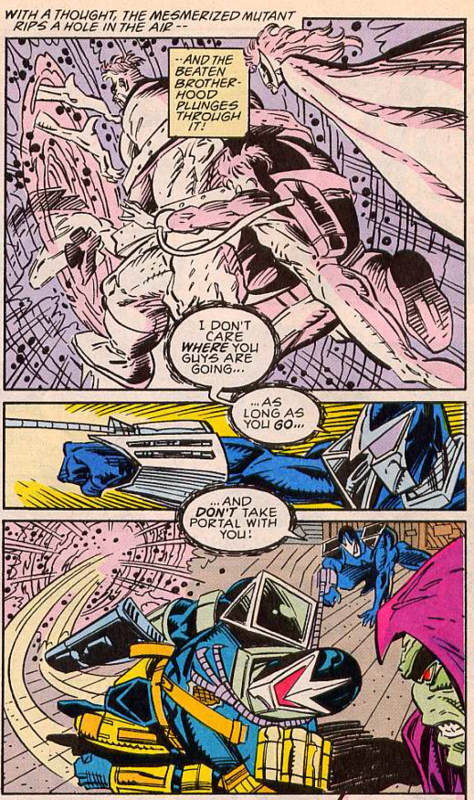 In Darkhawk #19 (1992), the Brotherhood plots yet another scheme, "saving" Portal to get him to join them. That fails (surprisingly), Portal helps in pushing them back. They get their payback in the next issue, when they mind-control Portal as a taxi driver. He's saved from the Brotherhood by Darkhawk and Spider-Man in Sleepwalker #17 (1992), right after teleporting the evil team to an unknown place. As far as I can tell these three aren't collected in one paperback, but they're available in single-issues on Amazon, ComicBookRealm and the like. 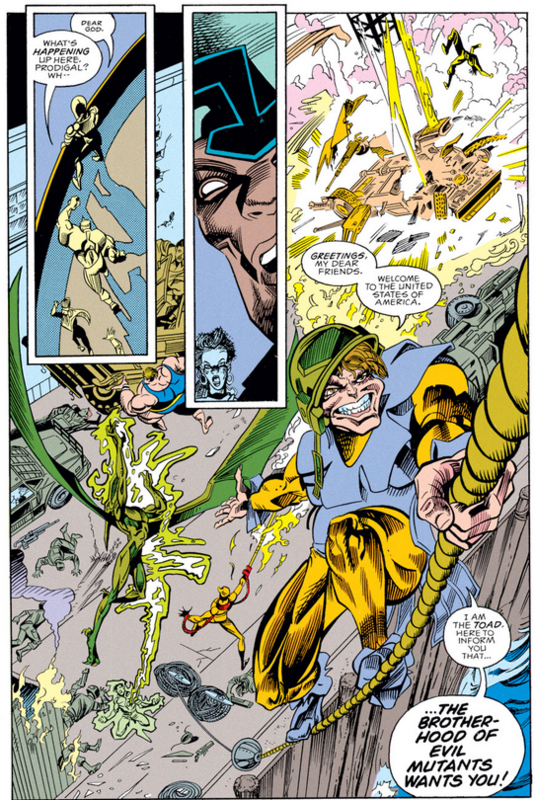 The team is sunbathing on a boat in X-Men Unlimited #2 (1993), when Exodus comes and states that Phantazia is eligible for a place in a brand-new sanctuary. Phantazia goes team player and declines. Collected in single-issue, although I guess it's the same situation as X-Factor one above. 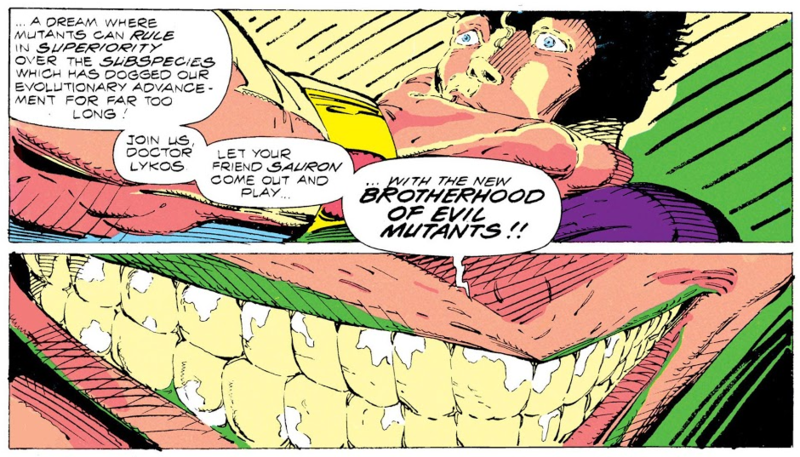 In X-Men Annual #2 (1993), the Brotherhood faces (among others) Jonathan Chambers, an energy vampire (ask the Blob). Toad has a minor role in the issue. Printed in one-issue thingy, sold by various individuals throughout the Internet. X-Factor situation from above applies once again. As far as I can tell, that's it. Toad's Brotherhood doesn't appear after that, so it's rather safe to say Toad's Brotherhood disbanded after the events listed above. Given their success rate, that had to happen at some point. Not the answer you're looking for? Browse other questions tagged marvel comics suggested-order or ask your own question. Uncanny, Astonishing, Ultimate and Legacy…How does this tie in with X-Men? In what order Should I read the Marvel story arcs between Civil War and Avengers vs. X-Men? Game of Thrones: Alternate reading order for Books 4 and 5? How come Mimic needs glasses like Cyclops? What should I read to see what happened with Ms Marvel during the Secret Wars? Is Jack-O-Lantern part of the DC Universe, or the Marvel Universe?